When Bryce Renninger left Syracuse University with a dual degree in English and textual studies in the College of Arts and Sciences and Television, Radio and Film in the S.I. Newhouse School of Public Communications, he had already laid out solid a path to a cinematic career. 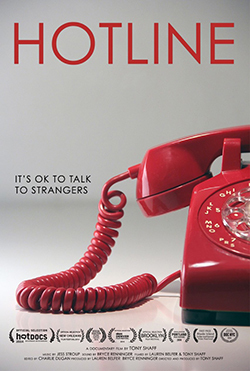 On Thursday, April 16, Renninger returns to campus for a public screening of his latest film, “Hotline.” The screening will take place at 7:30 p.m. at Watson Theater at the Robert B. Menschel Media Center. The free event is co-sponsored by Office of Career Services, Newhouse School of Public Communications and the College of Arts and Sciences. Immediately following the documentary, Stephen M. DiDomenico, visiting assistant professor of communication and rhetorical studies, will join Renninger for a question-and-answer session. DiDomenico currently teaches in the College of Visual and Performing Arts and is a doctoral candidate, along with Renninger, at Rutgers University. According to producers, the documentary is an intimate look at how a seemly obsolete technology still finds a robust life, with record numbers of people calling into various types of telephone hotlines; from suicide helplines to psychic advice. The film showcases the people who call and the people who answer—and the ways human conversation and contact can fight isolation and alienation in an increasingly digital world. In addition to producing films, Renninger is a film programmer, writer and educator. He is currently the director of programming at the Brooklyn Film Festival and previously served as the director of programming at NewFest: New York’s LGBT Film Festival and the managing director for the South Asian International Film Festival. 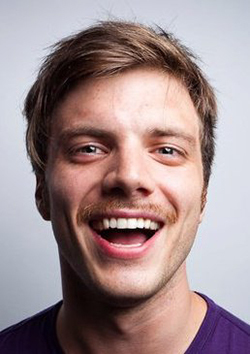 After serving on the editorial team of the online publication Indiewire until 2013, he is now finishing his dissertation on non-normative sexual politics and digital media technologies at Rutgers.